Each child finds a space and sits down. Each child or a group of children are assigned a specific word and a corresponding action. The narrator/teacher reads the story aloud, and when the children hear their word, they must jump up and do their actions. The words are in bold to assist the teacher. Billy goats gruff: Move like a goat and say triplet trip. Bridge: Two children face each other; they place their arms over their heads and link their fingers together. Troll: Roar and make an ugly face. Smallest: Make your body as small as you can. Bigger/Biggest: Stretch your hands up in the air as high as you can. Meadow: Get down on your hands and knees and graze on the grass. Brother: Two children link arms. Brothers: Three children link arms. Narrator: Once upon a time, there lived three billy goats gruff. They spent every winter in a barn that kept them nice and warm. But when the summer came, they liked to trippety trip over the bridge to the beautiful green meadow on the other side of the river. “I’m really hungry. I think I will cross the bridge to eat some lovely green grass in the meadow,” said the smallest billy goat gruff. What the billy goats gruff didn’t know was that under the bridge, there lived an ugly troll. The troll was nasty and horrible. Nobody crossed the bridge without the troll’s permission, and he never gave permission. “I can’t wait to get to the meadow,” said the smallest billy goat gruff. “Who is that trippety tripping over my bridge?” roared the troll. “Oh, it’s only me. Please let me pass. I only want to go to the meadow to eat some sweet grass,” pleaded the smallest billy goat gruff. “Oh no, you are not. I’m going to eat you,” said the troll. “Oh, no, please, Mr. Troll, I’m only the smallest billy goat gruff. I’m much too tiny for you to eat, and I wouldn’t taste very good. Why don’t you wait for my brother, the middle-sized billy goat gruff? He is much bigger than I am and would be much tastier,” said the smallest billy goat gruff. “Well, I suppose I could wait,” the troll said with a sigh. “I think I will join my brother on the meadow and eat some lovely lush grass,” mused the middle-sized billy goat gruff. “Who is that trippety tripping over my bridge?” roared the troll. “Oh, it’s only me. Please let me pass. I only want to go to the meadow to eat some sweet grass” said the middle sized billy goats gruff. “Oh no, you are not. I’m going to eat you,” bellowed the troll. “Oh, no, please, Mr. Troll, I’m only the middle-sized billy goat gruff. I’m much too tiny for you to eat, and I wouldn’t taste very good. Why don’t you wait for my brother, the biggest billy goat gruff?” He is much bigger than I am and would be much tastier,” pleased the middle-sized billy goat gruff. “I am alone and hungry. I will join my brothers in the meadow and get some nice and sweet grass to eat,” said the biggest billy goat gruff. “Oh, it is only me. Please let me pass. I only want to go to the meadow to eat some sweet grass,” said the biggest billy goat gruff. “That’s what you think!” shouted the biggest billy goat gruff angrily. He lowered his horns, galloped along the bridge and butted the ugly troll. Up, up, up went the troll into the air. Then down, down, down into the rushing river below. He disappeared below the swirling waters. “That taught him a lesson,” said the biggest billy goat gruff. He continued across the bridge and met with his brothers, and they ate grass and played for the rest of summer. Click here for more movement stories for children. Characters: Two storytellers, tortoise, eagle, snail, squirrel, rabbit, crow, dove, robin. Storyteller 1: There once was a tortoise that lived in a wood. Storyteller 2: He was never happy. Tortoise: I’m so bored. All I do all day is plod along. If only I could fly like the birds up in the sky. Snail: Tortoise, why are you never happy. You have lots of things to be grateful for. Snail: You have a big hard shell. Squirrel: You have lots of friends in the woods. Rabbit: None of us can fly and we are not bored. Tortoise: I don’t like being stuck on the ground. I think, I will ask the birds to help me. Birds, birds, could one of you take me up into the sky so I can see the wonders of the world. Tortoise: Crow, crow, please help me fly. Tortoise: Dove, dove, please help me fly. Tortoise: Robin, robin, please help me fly. Tortoise: Eagle, eagle, please help me fly. Eagle: I will help you fly. Storyteller 2: The tortoise was so frightened he closed his eyes really tightly. Eagle: Tortoise, you must open your eyes if you want to see the wonders of the world. Tortoise: I can’t open my eyes. I’m too scared. Eagle, please put me down. Storytellers: The moral of the story is be careful what you wish for. 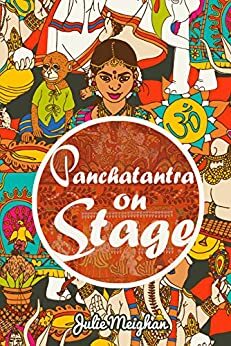 For more fun plays based on the Panchatantra, Click Here! book facilitate students’ ability to learn in different ways as visual learners, auditory learners and kinaesthetic learners. Here are a few fun, challenging and rewarding drama games. Other benefits: The focus of this game is to practice directions. It will also help students to become familiar with different types of fish. Instructions: The students sit in a circle. The teacher goes around circle and gives each student a fish name such as a dog fish, sun fish, star fish, and cat fish. Then, the teacher chooses one type of fish and the students that are assigned that fish move around the outside of the circle to instructions like high seas- stretching as high as they can, low seas- crouching as low as they can, choppy seas- jumping or hopping, change direction, and then when the teacher calls ‘shark is coming’ they must run back as quickly as they can to their place in the circle. Repeat until all the fish have got a chance. Other benefits: This is an excellent concentration and memory game. It will help to extend and explore vocabulary. Instructions: This is an activity can be used as a getting to know you activity as well as giving the students an opportunity to practice specific vocabulary. The students sit in a circle the first-person starts. Student A: Hi my name is Adam and the world’s greatest sandwich has eggs in it. Student B: Hi my name is Betty and the world’s greatest sandwich has eggs and bananas in it. Everyone in the circle gets a chance. If they make a mistake or pause too long they are out. The game keeps going until there is only one person left. Extension: This game could be used to practice other types of vocabulary. Other benefits: This game helps to promote the students’ creativity. It also focuses on negatives. Instructions: Go around the circle and each student says what they like and what they don’t like. You can make it more difficult by getting them to say items that start with the first letter of their name. For example: Hi my name is Julie. I like …. Jellies but I don’t like…. Jam. After everyone has had a chance to say what their likes and dislikes are the students stand in a circle. A volunteer is chosen and he calls out the name of another student across the circle. As he walks towards them he must call their likes and dislikes. The chosen student chooses someone else and walks towards them calling out their likes and dislikes and so on until everyone has had a chance. 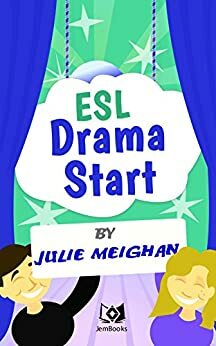 For more Drama Games you can use in the classroom, click on the link below. The following poem can be used in a variety of ways: The practionner could read it at story time or the children could act out or mime the different parts for fun or in front of an audience. They could also be recited. Each child could learn four lines each and they could recite it as a choral piece. These stories help children with their vocal expression and give them an understanding of rhythm. There was a lion who lived in a cave. He was extremely big and terribly brave. Because he was the fearsome jungle king. When he was woken by a little mouse. The lion tripped over and took a tumble. The other animals began to clap. And off they trundled into the dark night. The Giraffes looked at him and decided to flee. He was terribly tired and feeling less bold. He heard the hissing of a slimy snake. And away he slithered into the deep wood. He was stuck outside in the cold night air. Came the patter of the little brown mouse. In all its wondrous gruesome glory. The scary lion sat there full of great awe. With that he invited the mouse home for tea. Characters: Two Storytellers, Clara, Godfather, Nutcracker Toy, Three Mice, Mouse King, Six Soldiers, Sugarplum Fairy, Arabian Princesses, Chinese Tea Dancers and Flower Ballerinas. Storyteller 1: Once upon a time there lived a girl called Clara. It was Christmas Eve. Clara: (looks out the window) It is snowing. It is dazzling white except for that golden light coming from my house. Storyteller 2: Her parents were having a Christmas Eve party. Clara: Thank you very much. I’ll put it under my Christmas tree. Storyteller 1: That night, when everyone had gone to bed, Clara crept downstairs as quiet as a mouse. Clara: I’m so excited to open my present from my godfather. Clara: It is a Nutcracker Toy. What a wonderful present. I’m so tired. (She yawns.) I’ll just have a quick nap under this Christmas tree. Storyteller 2: Bong, bong; the clock struck midnight. Clara: My goodness, the tree is rising above me. Clara: The Nutcracker Toy has come alive. Nutcracker Toy: I’m the nutcracker prince. Clara: What are you doing here? Nutcracker Toy: I’ve come to protect you. Clara: Why do I need protecting? Nutcracker Toy: The kitchen mice are plotting to kidnap you. (He blows his whistle.) Never mind, these six soldiers are here to help you. Mouse 1: There she is. Mouse 2: Let’s get her. Soldier 1: We must stop the mice. Soldier 2: Use these lumps of cheese and fire them at the mice. Soldier 3: Spray them with water. Mouse 3: Help us, help us. Nutcracker Toy: You saved me, Clara. I must thank you. Storyteller 2: The Nutcracker Toy called his reindeer and sleigh. Reindeer: Your sleigh awaits, Prince. Nutcracker Toy: Jump on board, Clara. Clara: Where are we going? Nutcracker Toy: It is a surprise. Storyteller 1: They flew through an open window and into a snow-filled sky. Eventually, they arrived at their destination. Clara: Where are we? Look, the trees are made of lollipops and the flowers are made of marshmallows. Nutcracker Toy: This is the land of treats. Nutcracker Toy: Clara, come. I want to show you something. This is the marzipan castle. It is decorated with ever kind of sweet you can imagine. Sugarplum Fairy: Welcome. I’m the Sugar Plum Fairy. I’m so glad you could make it. Please come inside. Make yourself at home and eat anything you want. Clara: I’ve never seen so many cookies, cakes and candy. Storyteller 1: Clara and the Nutcracker Toy ate to their hearts’ content. Clara: This is an amazing place. I’ve had an amazing time. Nutcracker Toy: Clara, it is time to go home. Clara: Thank you for a wonderful adventure. Storyteller 1: The next morning, Clara woke up underneath the Christmas tree. Clara: Where am I? I’m underneath the Christmas tree. (She picks up the Nutcracker Toy.) Where is the prince? It must have been a dream … unless it was the magic of Christmas Eve. For More Fairytales on Stage, click below, only $0.99.